Shifting Gears Publications, 9780989940481, 244pp. 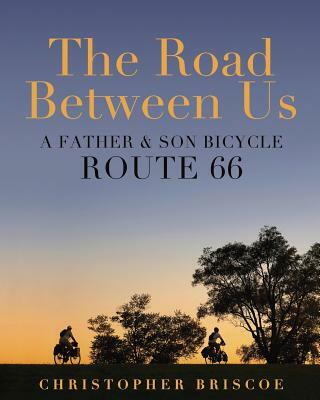 When Christopher Briscoe and his son, Quincy, rode their bikes along historic Route 66 from Santa Monica to Chicago, majestic beauty and quirky characters became regular features of their daily routine. It was 58 days and 2,700 miles of exhaustion and magic, through sometimes overwhelming heat or driving rain. Along the way, they discover that the road between them is the life path that connects them. Their journey is captured in photographs and stories that bring to life their adventures and heartfelt camaraderie. Christopher Briscoe’s photographs have appeared on Oprah, Larry King Live, and Entertainment Tonight. They have been printed in international publications including The Times (London), USA Today, People, Time magazine, and Paris Match. He has photographed cultural icons, including President Mikhail Gorbachev, producer-director Steven Spielberg, actor Michael Douglas, and others. Briscoe is driven to uncover the common threads that bind us all — from Bourbon Street to the slums of India. He digs deep, revealing the story behind each image. Renowned New York photographer Jay Maisel recently remarked, “Joy and warmth is evident in the work. Sit, enjoy. Chris is a growing presence. There will be more.” For more information on Chris, please visit his website at https://www.chrisbriscoe.com.